You have lots of options to choose from! Our current listings for apartments in Edmonton, Alberta are right below – making it easy to find the suite that best suits you! 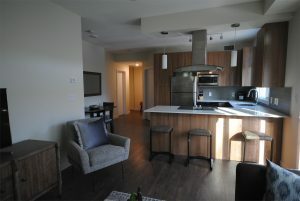 EFS is a multi-generational, family run company with a long history in dealing with apartments in Edmonton, Alberta. Our company provides unfurnished suites, furnished suites, real estate services and rental opportunities to property owners. All our suites are cleaned, maintained and sparkling when you arrive. Search our vast database of available suites below to find the one that is best suited to your taste and budget. Any card, Anytime, Anywhere. Paying rent is that easy. 3 easy steps – let us take care of the rest. At EFS, we provide you with a clean and comfortable suite as quickly and efficiently as possible. In many cases, our renters need a place to stay within a short period of time – so that’s why we’ve broken our process down into three easy steps. 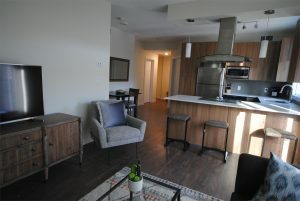 You will love the little extras that you will experience when you rent an apartment in Edmonton, Alberta from EFS! We believe in being socially responsible – and we love our community! So we proudly support the Red Cross Cancer Institute – and The Stollery Children’s Hospital. We make accommodations for families receiving treatment.